A set of three beautiful 19th century Neapolitan terracotta Cornicello hornlets in stunning original silver gilt. 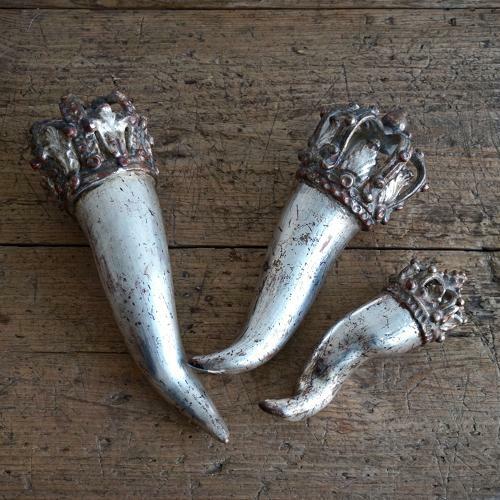 These rare twisted horn shaped talisman are Italian good luck charms that protect households against the 'evil-eye'. Smaller amulets are sometimes worn by Italians as jewellery in red coral, silver and gold. These larger decorative objects date from circa 1880.